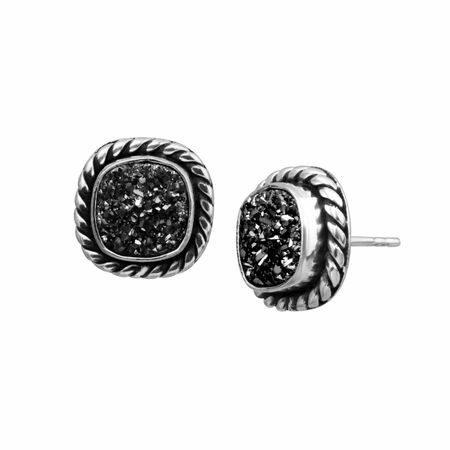 See clearly with these dazzling studs. Silver-hued druzy sparkles in the centers of these cushion-shaped stud earrings, ringed with a roped border and crafted in sterling silver. Earrings measure 1/2 by 1/2 inches and feature posts with friction-backs.